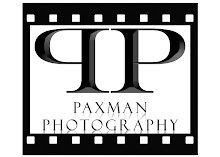 Chris continues to work at the University of Phoenix, chip away at his bachelor's degree, and run a successful wedding photography business ( http://paxmanphotography.com ). One of the highlights of his year was being flown to Sweden for a week to shoot a beautiful wedding abroad. Johnna loves being a stay at home mom and watching Crew grow and change way too fast. 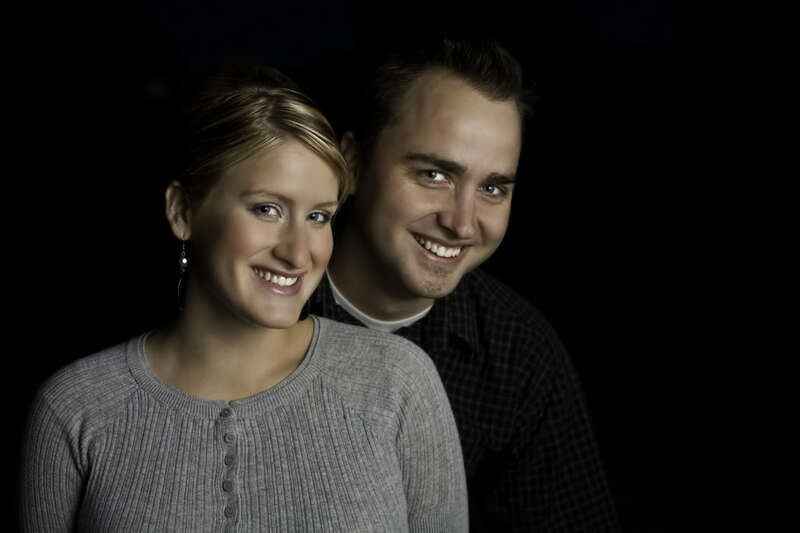 The highlight of her year was going to Idaho with Chris and Crew for the first Hughett family reunion. Crew turned one in October. He is walking, waving, hugging, kissing, biting, teething, and an absolute joy in our lives. 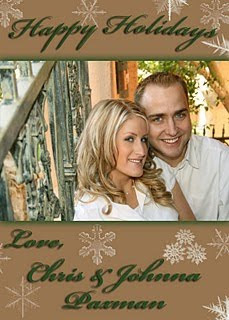 Christmas card 2007. Oh so young, so hot. . . still. 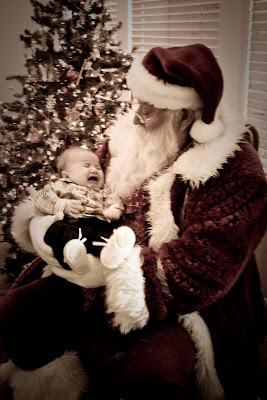 Christmas 2008. 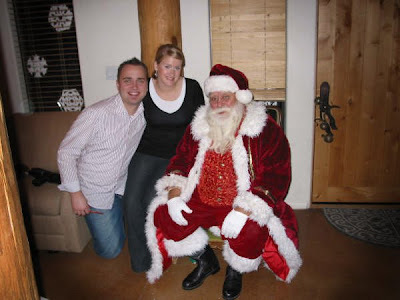 Believe it or not, this was my first real picture with Santa Claus. I was very excited. 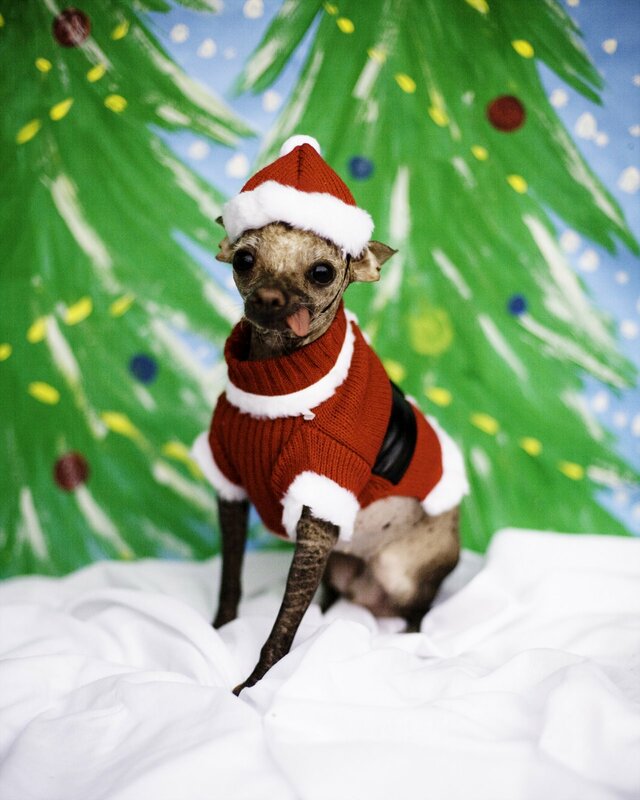 Itzy, our hairless chihuahua, stole the show that year. There's a good 20 - 30 lbs. 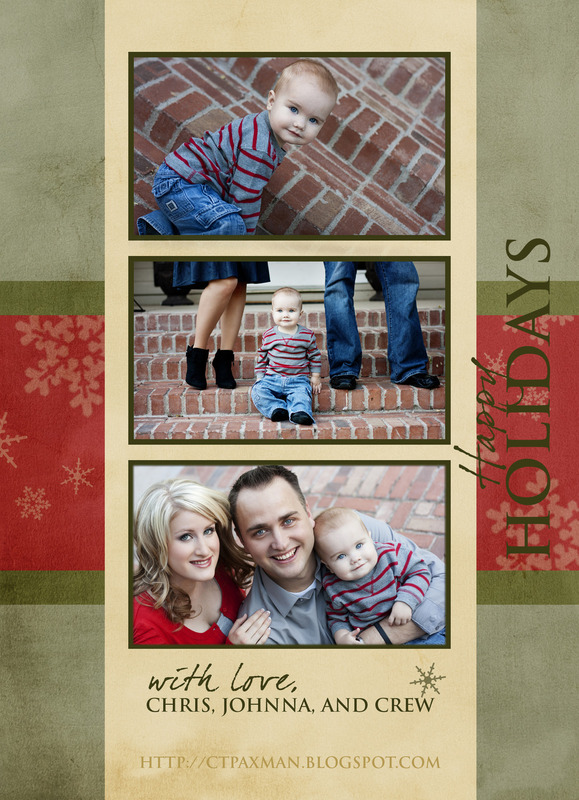 packed on us since our last Christmas card picture. . . We attributed that to a happy marriage. Christmas 2009. Crew was not so sure about this 'Santa' guy. In all fairness though, Crew wasn't so sure about anyone but his momma at that time. Stay tuned!...we're going to post our Christmas card picture for this year later this week! Hey this video is entirely of my little sister and her new husband Scott. I know alot of Pinetop friends stop by this blog and thought that they might enjoy it.